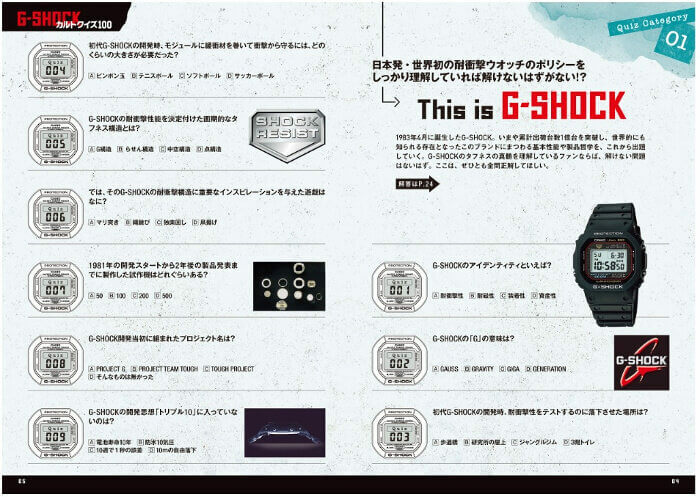 Zona Casio reported that a new G-Shock magazine-book is available in Japan. The Japanese title “G-SHOCKカルトクイズ100” translates to English (by Google) as “G-Shock Cult Quiz 100” and the 48-page book contains 100 questions and answers about G-Shock and its 35-year history (in Japanese writing). 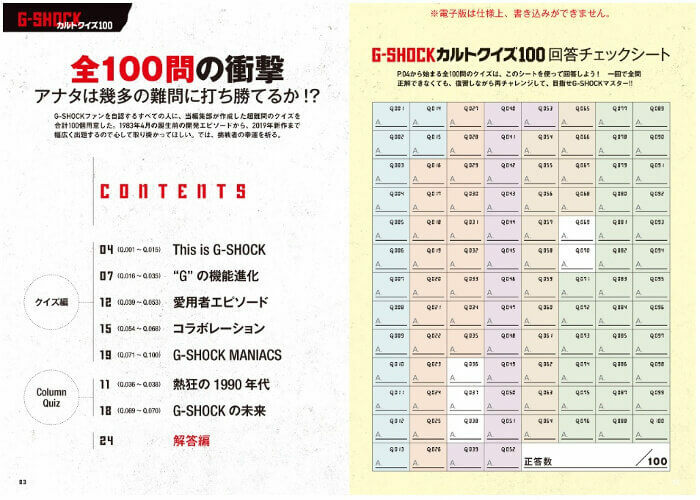 The book is available for ¥1,944 JPY (tax included) from Japanese retailers. 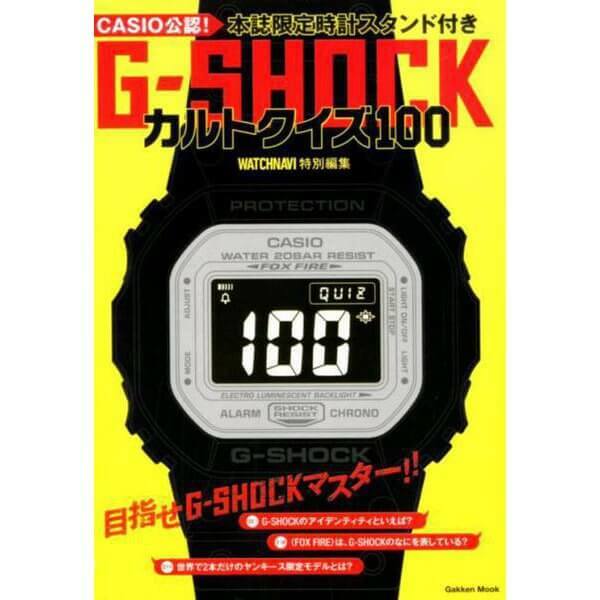 Books.rakuten.co.jp also has an e-book version for ¥324 JPY. Hopefully they’ll release the e-book in English.